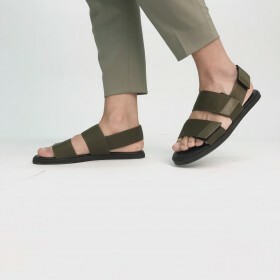 Men's sandals are perfect for the spring and summer season, or to just wear at home. They are comfortable and easy to put on. The versatility of sandals in design and style makes sure there is something for everyone. From your favourite designer brands to your favourite shops, choose the style you want! Use the filters to narrow down your search by size, colour, brand, shop and material. Looking for other comfortable shoes, why not take a look at trainers or slippers.